Blue Leatherette Wine Bag offers the look and feel of genuine leather at a fraction of the price. This richly textured, synthetic material is water resistant, easy to clean and durable enough for the rigors of daily use. The dimensions of the handle hole are 3 1/4"L x 2 5/16"H. The inside of the wine bag is lined with black foam for insulation. 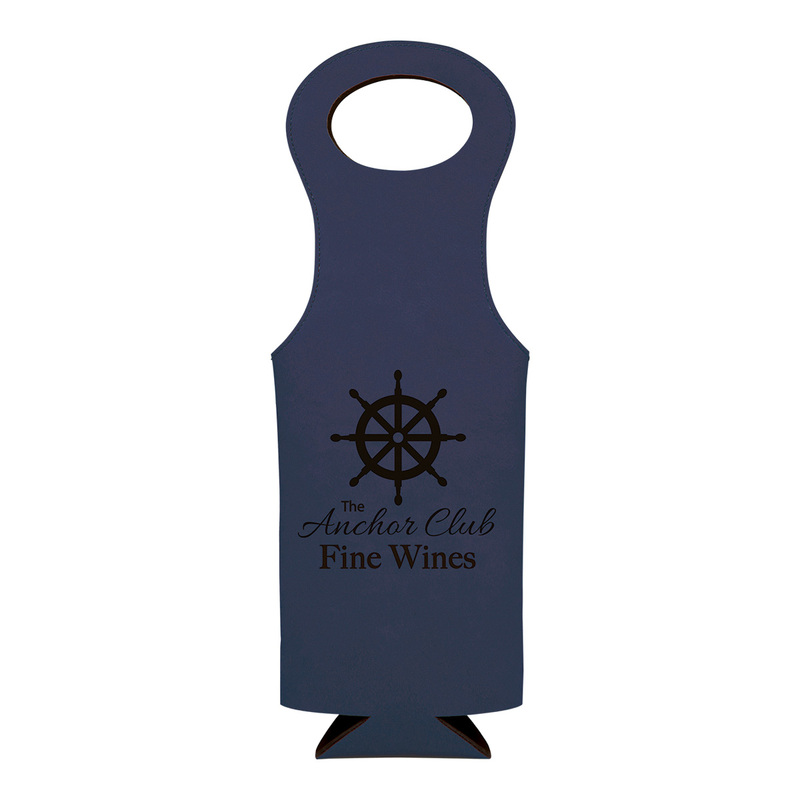 Wine bag will hold a bottle up to 3 1/4" in diameter. Laser Engraved leaving a black imprint.